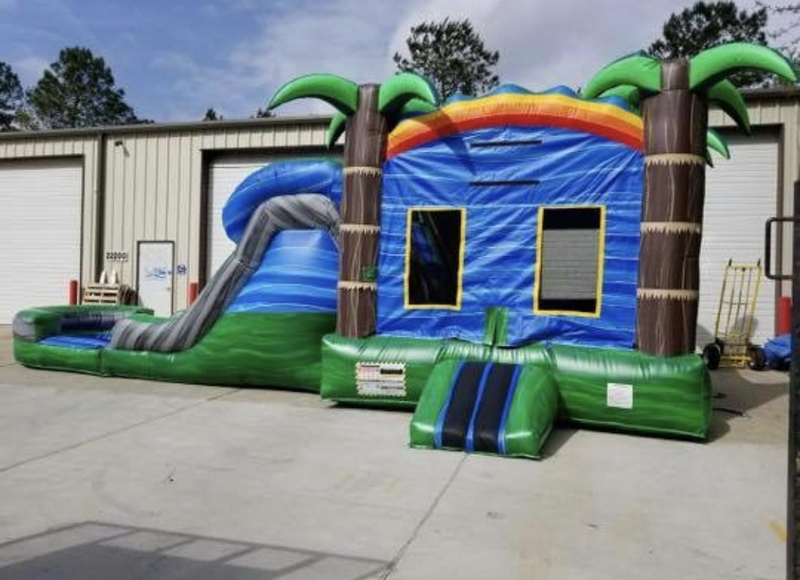 Introduce an all-in-one party attraction and bring the Tropical Dual Lane Water Slide Combo to your next party or event in Lafayette! 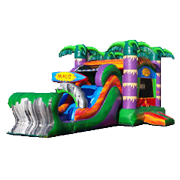 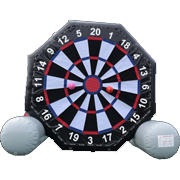 This eye-catching inflatable is decked out in bright hues of green, blue, and red/orange, and includes additional embellishment such as inflatable palm trees standing proudly on each corner of the bounce house! 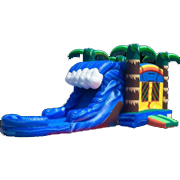 Reminiscent of an idyllic tropical vista, this inflatable invites guests to enjoy themselves and bask in the thrills that it has to offer! 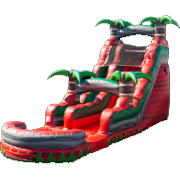 The Tropical Dual Lane Water Slide Combo is a two-in-one unit, which means that partygoers get to choose from either jumping around in the bounce house, or speeding down the attached inflatable water slide that feeds right into the inflatable pool at the bottom with a refreshing splash! 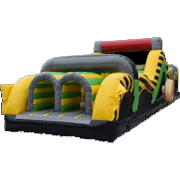 Every part of this combo unit is made with non-toxic materials, and we handle all setup/teardown on your behalf! 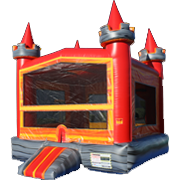 With Bounce E Bounce, LLC, you truly get the complete party package! 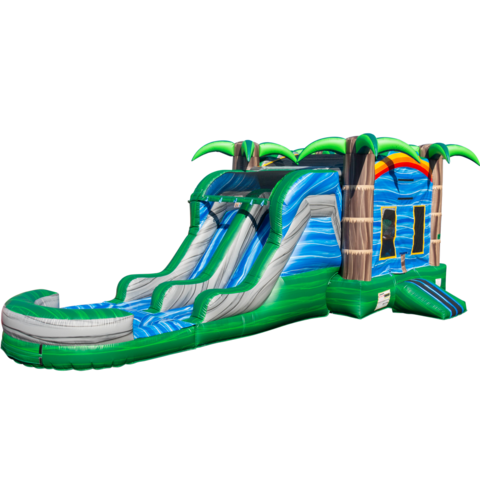 Reserve the Tropical Dual Lane Water Slide Combo now with our online booking system!